Weight cycling refers to the repeated process of intentionally losing and then gaining the weight back. Weight cycling is often called yo-yo dieting because the dieter's weight goes up and down over and over again. A single weight cycle is defined as one instance of weight loss followed by weight regain. Some research links certain health risks to weight cycling. Example: When April lost 30 pounds and then gained it back, only to return to her diet and start losing weight again, she was weight cycling. Weight cycling usually happens to people who repeatedly go on and off diets. The process generally results in gaining and losing a similar amount of weight over and over again. Some researchers define weight cycling as the loss and regain of at least 20 pounds three or more times. While other scientists define weight cycling as the intentional loss and unintentional regain of ten pounds or more. Weight cycling or "yo-yo dieting" is often associated with crash dieting. During a crash diet, you consume very few calories and lose weight very quickly. After a crash diet, it is very common to regain weight. Weight regain happens because the calorie deficit that created the weight loss is too difficult to sustain. Very few dieters can maintain the very restrictive eating habits that cause them to slim down. In addition, many crash dieters rebound by binge eating and regain the weight they lost and sometimes even more. Researchers don't know whether or not weight cycling itself leads directly to any health problems. Some research studies have raised concerns that weight cycling may be linked to an increased risk of death, but other studies have found that there is no link between mortality and yo-yo dieting. However, there may be a link between weight cycling and high blood pressure, high cholesterol, or gallbladder disease. Binge eating may also be linked to weight cycling or yo-yo dieting. Weight cycling may affect your mental health too, making you more likely to feel depressed about your weight. Does Weight Cycling Change Metabolism? Some studies have suggested that weight cycling can make weight loss harder. 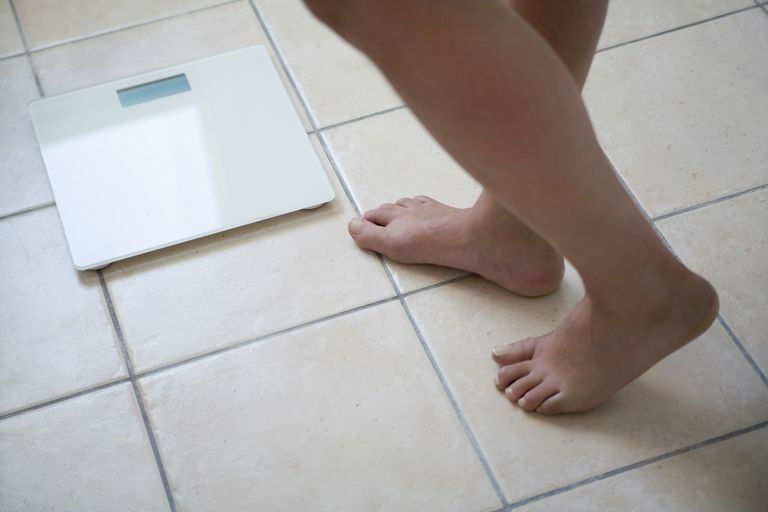 Some experts say that the process of losing and regaining weight can slow your metabolism to a point where future weight loss attempts become more and more difficult. But a large study conducted at a research facility in Seattle found that yo-yo dieting has no effect on metabolism and no impact on future attempts at weight loss. The smartest way to avoid yo-yo dieting is to pick a reasonable weight loss plan that provides slow and steady weight loss and a transition program for the long-term. Crash diets are not healthy and often lead to weight regain. Once you've reached your goal weight, continue to exercise and watch what you eat. At some point, you will gradually begin to consume more calories, but you should never plan to return to the eating style that caused weight gain in the first place. Weight loss and weight maintenance are about making permanent lifestyle changes for long-term health and wellness. It's easy to fall for fad diet temptation and use a crash diet to slim down quickly. You might have a special event or vacation on your calendar and you want to lose weight quickly to feel better about your body. But you're likely to experience weight cycling as a result of that diet. There are better ways to feel better about your body in the short term. Skip the crash diets and use a weight loss diet when you're ready to make a long-term commitment to nutritious eating. You're more likely to be successful in the long run. Victoria L. Stevens, et al. "Weight Cycling and Mortality in a Large Prospective US Study." American Journal of Epidemiology January 27, 2012. "Yo-Yo Dieting Does Not Affect Future Weight Loss Outcomes ." FredHutch.org August 16 2012.